Kalank movie review: Kalank starring Alia Bhatt, Varun Dhawan, Sanjay Dutt, Madhuri Dixit, Sonakshi Sinha and Aditya Roy Kapur has hit the silver screens today on April 17. The early reviews of the film are out now. Kalank has been directed by Abhishek Varman and bankrolled by Karan Johar under the banner of Dharma Productions. Kalank movie review: The much-anticipated film Kalank starring Alia Bhatt, Varun Dhawan, Sanjay Dutt, Madhuri Dixit, Sonakshi Sinha and Aditya Roy Kapur is finally out in the theatres now. Helmed by Abhishek Varman and bankrolled by Karan Johar under the banner of Dharma Productions, Kalank is making all the right buzz with its promising star-cast, grand sets and trending chartbusters. As the film hits the screens, the early reviews of the film out that might be the deciding factor for you. Film critic Amman Khurana in her review for TimesNow has said with grand sets, royal costumes, breathtaking faces and stunning visuals, the film delivers an overwhelming experience. Varun Dhawan’s character Zafar and Alia Bhatt’s character Roop are the focus of the film and the rest of the characters also get enough screen time. Based against the backdrop of Hindu-Muslim feuds in 1945, the first half of the film is however slow. Film critic and trade analyst Sumit Kadel on his Twitter profile has called the film a disappointment. Giving the film 1 star, Sumit wrote in his review that the film is a tortuous affair. He emphasised that while the film is a visual spectacle, it lacks soul and proper characterisation. Calling it a tortuous affair, he added that it seems like the writers of the film didn’t know what is happening in the film and why. 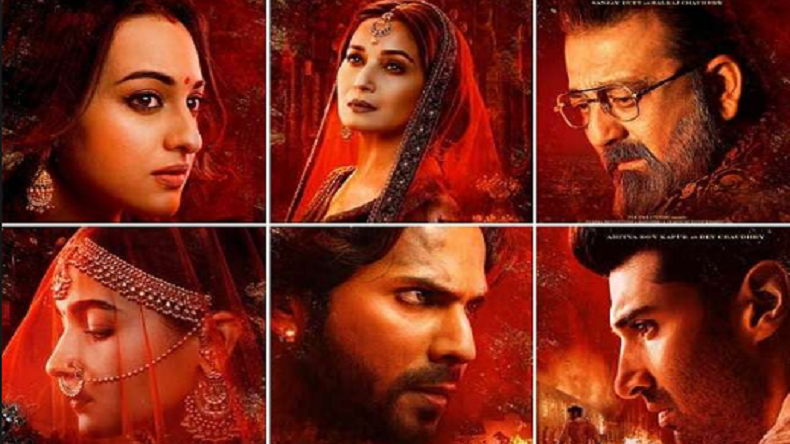 On the other hand, Celebrities like Neha Dhupia, Kiara Advani, Shashank Khaitan, Sophie Choudhry among many others have praised the film and extended their well wishes to the team of Kalank. Going by the buzz around the film, Kalank is expected to recieve a bumper opening at the box office. On its first day, the film is expected to earn Rs 20 crore and more at the box office.